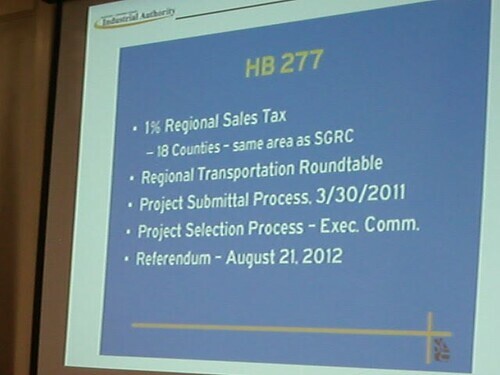 What's this about yet another sales tax decided on by regional transportation boards and GDOT? Corey Hull of the Valdosta-Lowndes County Metropolitan Planning Organization (VLMPO) explained T-SPLOST at the regular monthly meeting, Valdosta-Lowndes County Industrial Authority (VLCIA). Georgia HB 277, which was passed by the legislature and signed into law last year, calls for a 1% regional sales tax (T-SPLOST) to fund transportation projects. Atkinson, Bacon, Ben Hill, Berrien, Brantley, Brooks, Charlton, Clinch, Coffee, Cook, Echols, Irwin, Lanier, Lowndes, Pierce, Tift, Turner, and Ware. All municipalities in the region were supposed to submit a list of proposed projects by March 31. Here is Lowndes County's list. The City of Valdosta submitted an even more extensive and expensive list; we'll post that later. 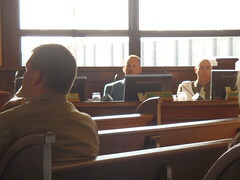 In June and July an executive roundtable will pick among the projects proposed. Current estimates are that T-SPLOST will raise $55 - $80 million dollars per year, so the committee must select the project lists down to fit that estimate. (I don't know whether that is for this region or for the state.) In October of this year the roundtable must select the projects. The voters will vote on them in a referendum 21 August 2012. If the voters don't approve T-SPLOST for a region, municipalities in that region must pay a penalty. Allan Ricketts Program Manager, 15 February 2011.